Swedish rolling stock leasing company AB Transitio has purchased eight KISS trains for operator Uppsala Länstrafik. 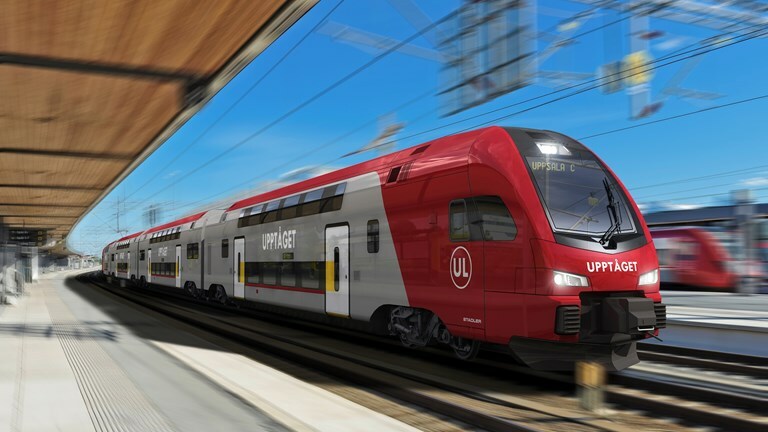 Stadler’s order is part of a deal signed in 2016 for 33 four-carriage double-decker trains which included an option for an additional 110 vehicles. The new generation of double-decker trains are equipped for colder climates. As well as underfloor heating and good insulation, the train features snow scrapers between bogies, a heat recovery system and an open layout for better passenger flow. Stadler said that, following the acquisition of Swedtrac Knorr-Bremse, the order represents a further expansion of its presence in Sweden.